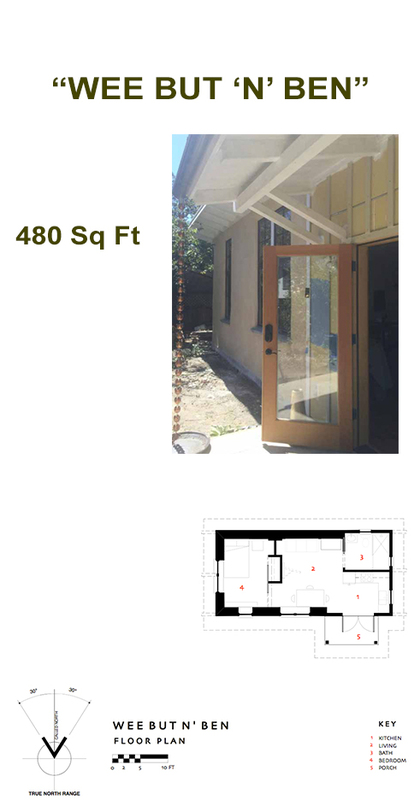 This simple 480 sf dwelling was originally designed as a backyard accessory dwelling unit (aka ‘in-law cottage’) for the owner’s 80 year old mother, who had grown up in Scotland where small, two-room cottages are known as a ‘Wee But ‘n’ Ben’. The project features bale walls on three sides, with the fourth wall framed and finished in wood. This wood wall contains all of the plumbing for the home making the separation of straw and water easy. 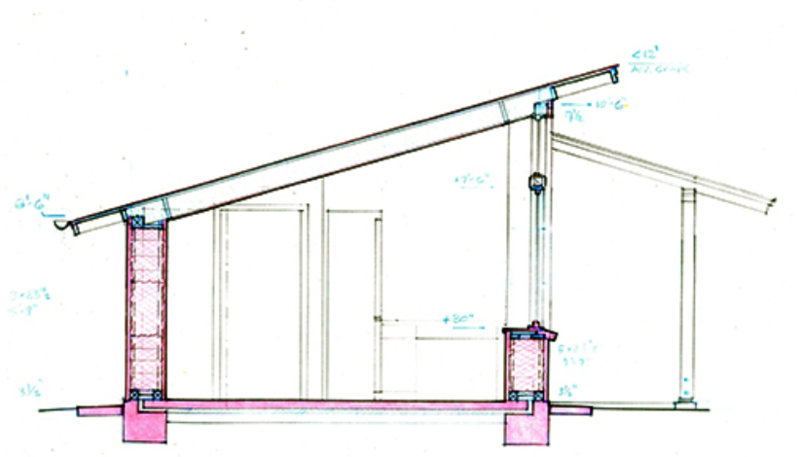 The simple shed roof furthers its economical design. 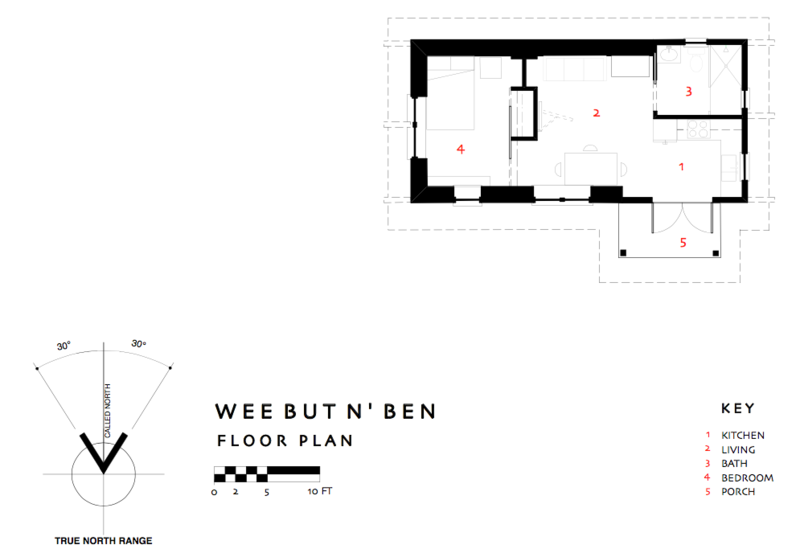 The Wee But ‘n’ Ben is designed for a flat site, but its relatively small footprint can likely be made to work nearly anywhere.